When it comes to creating interactive activities for the elementary level student using Google Slides is one of my favorite choices. It lends itself to a variety of activities which can be used to support different learning styles. I think it is important when designing an interactive to consider the kind of hands-on movement to best supports success for accomplishing the task. It is good to have more than one activity focused on the same objective for the student to attempt. Children will naturally gravitate towards the activity they can handle. Once the student feels confident they tend to move on independently to complete the next level. I also believe it is important to build in extra support for the students to provide them a boost towards success. This is why I created a youtube video which supplies an audio hint for completing the main goal of the activity. If you click the hint you may notice it actually gives the answer. This is okay because in the end the objective is to learn how to spell along with reading the word pictured on the slide by using the “an family”. Once the student is done advancing through all the slides they should have a good understanding of the “an family”. NOTE: Right now there is only one slide in the sample below. What I like about Google Slides is it keeps a revision history. This can help you assess the student’s independent work and provides evidence of understanding the concept. Revision history is a wonderful way of assessing abilities without actually providing a quiz or test. It provides data a teacher can use for meetings with parents or colleagues about the students progress. This activity can also be used as APPR evidence to support the learning which is occurring in the teacher’s classroom. How do you use the Interactive Activity for Word Building in a classroom? This activity lends itself to the “I do, We do, You do” strategy. I know this activity works on both Mac and Windows Laptops. It also functions very well on a Windows based tablet with a touchscreen. I haven’t tried on Android or an iPad. If anyone tries the activity on one of the aforementioned devices please leave a comment and let me know how it goes. 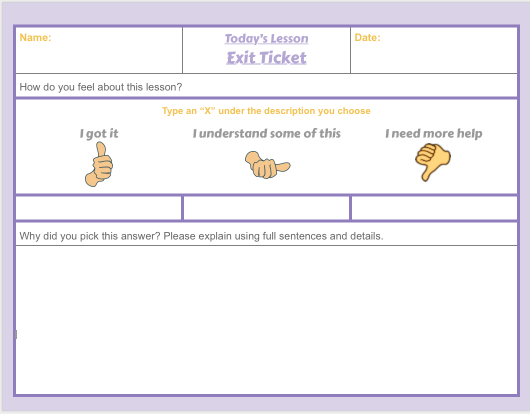 I will share the method used for creating this ELA interactive activity in another post.